Clump #119: Finish shopping (?) and print Christmas newsletter. As the bag says below, the printing of Ye Old Christmas Newsletter was, indeed, “easy” … after it was written, reviewed, edited, and returned to me by four other people. 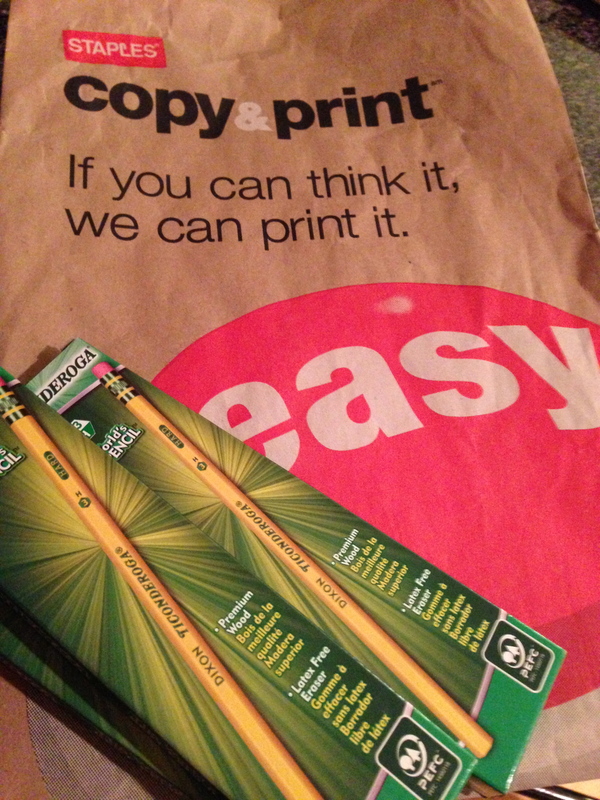 When I was at Staples I remembered to get some Ticonderoga pencils, “The World’s BEST PENCIL.” And maybe not the worlds BEST stocking stuffer, but certainly up there, in my book. I love giving practical gifts like socks, nice soap, lint removers … what a fun mom! Seems like only yesterday that it was Thanksgiving and we were enjoying our friends’ bonfire. Where did the time go?! iI haven’t been sharpening too many pencils, but I have been doing a bit of procrastinating. 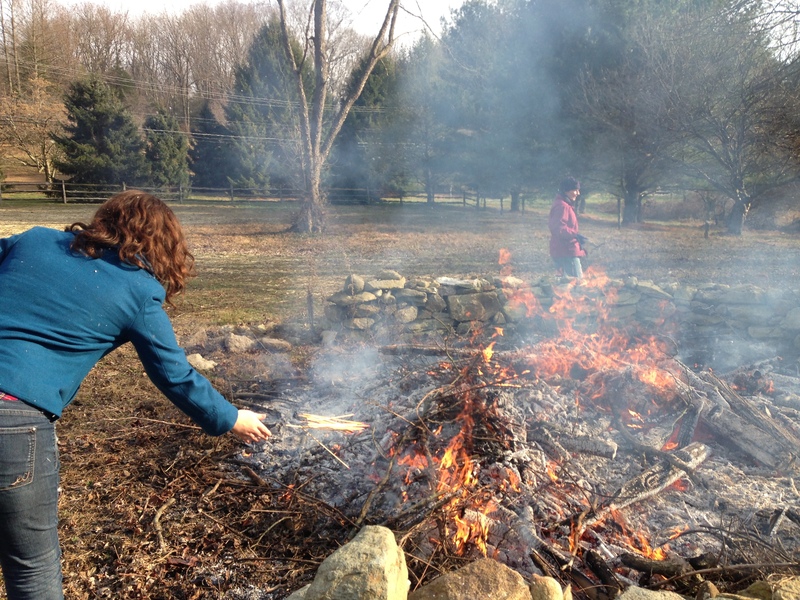 Below, my younger daughter was throwing some old, decrepit matches, from the avalanching-cabinet-cleaning-clump, into the flames. 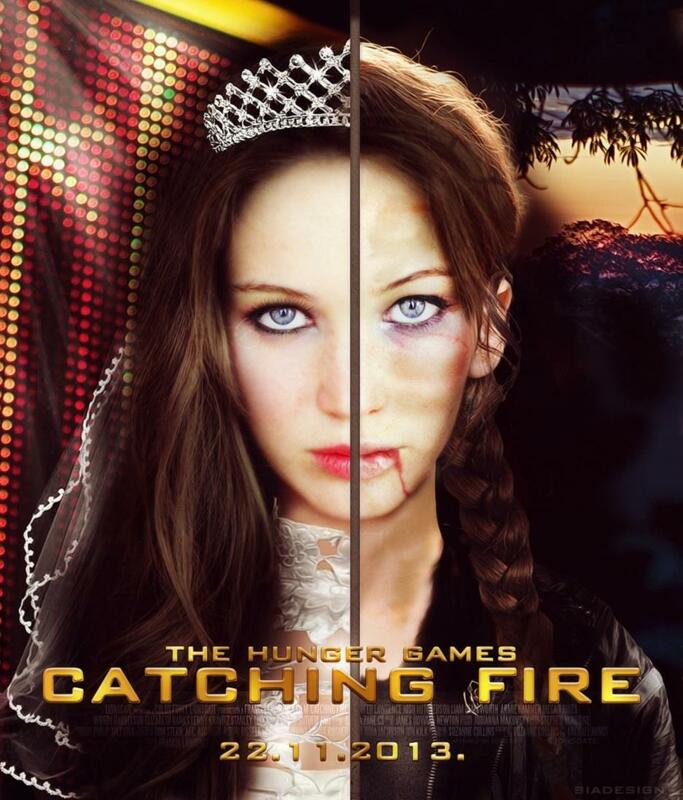 Appropriately, it was the same weekend we saw the movie The Hunger Games: Catching Fire. 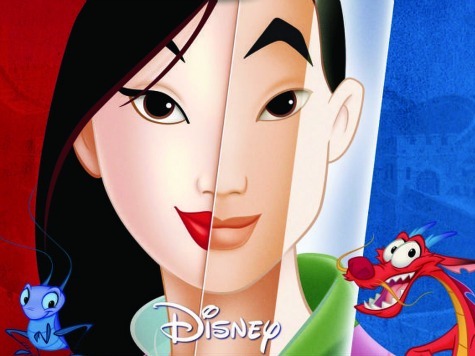 As an aside, I discovered many similarities between it and the Disney animated movie, Mulan. Finding this picture made it all the more clear. Both are about strong female characters forced into battle, where brains win over brawn. In both movies the leads get dolled up in fancy dresses (Katniss in The Hunger Games gives new meaning to “a dress to die for”), designed for marriage, not by choice, but by expectation. The warrior-woman character in each film makes a stunning move at a moment when they turn their gaze upward, as opposed to the expected ground level. Enough movie and culture analysis … let me just say that I feel like I won the battle of the present list today. I’m a mall and catalog warrior … hear me roar! Timely tip for those still in the heat of battle: I read that tomorrow, December 18, is a day when over 1,000 retailers will be offering no-cost shipping, guaranteed to arrive before Christmas day. More info at FreeShippingDay.com. Tonight is the finale of season five. 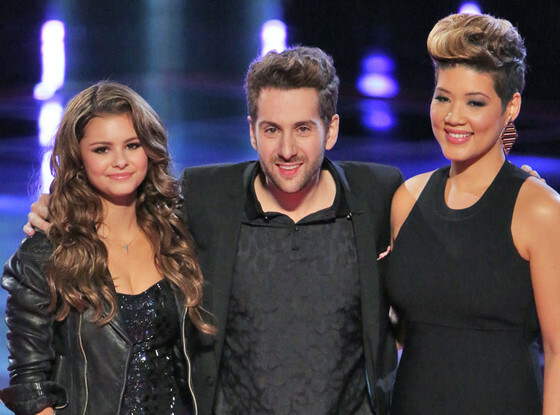 For anyone interested, here’s my prediction: 1st place: Tessanne Chin (right); 2nd place: Jaquie Lee (left); 3rd place: Will Champlin (center). Fingers crossed! Go Tessanne! ← Previous Post Who’s Holding the Bag? I hope you placed some money on that prediction! Ha!� I wish I had!